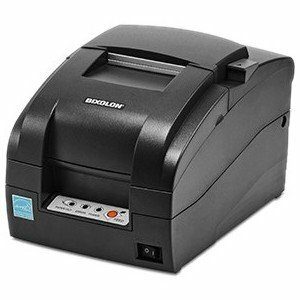 The Bixolon srp-275-iii has the fastest speed in its Class (5.1 lines per second) which allows kitchen orders to print faster than ever with two-color (black and red) printing to highlight special offers. Drop and print paper loading, internal/external power supply, and two color red/black printing. Wall mountable, and supports multiple paper widths.